Have you seen Annie speak? Leave a review. Annie’s skilled choices at the poker table earned her celebrity status in the game world as she broke record after record. By 2004 she had become the top female winner in the history of the World Series of Poker (WSOP) having beaten several world champions including her own brother. To date she holds the women’s record for the highest total of money finishes at the WSOP and is the only woman to have won the NBC National Heads-Up Poker Championship. A passionate philanthropist and activist, Annie has used her celebrity status and winnings to raise awareness and money for various charitable causes. She and actor Don Cheadle cofounded the non-profit Ante Up for Africa, which works to end genocide and humanitarian crimes in regions such as Dakar. She was also a board member of the Decision Education Foundation, a non-profit organization aiming to incorporate critical thinking skills and wise decision-making skills in the K-12 curriculum. More recently she launched the group “How I Decide,” a Philadelphia-based group of educators that help youth develop the skills that support better decision making, self-regulation, conscious habit formation, processing information, and managing uncertainty through in-school and out-of-school programs. For two decades, Annie was one of the top poker players in the world, winning several championships during her career. Annie started playing poker at the suggestion of her brother, world champion poker player Howard Lederer. Over the course of a 20-year career, she established herself as one of the top players in the male-dominated game. In 2004, she bested a field of 234 players to win her first WSOP bracelet. The same year, she triumphed in the $2 million winner-take-all, invitation only WSOP Tournament of Champions. In 2010, she won the prestigious NBC National Heads-Up Poker Championship, beating poker legend Erik Seidel in the finals. 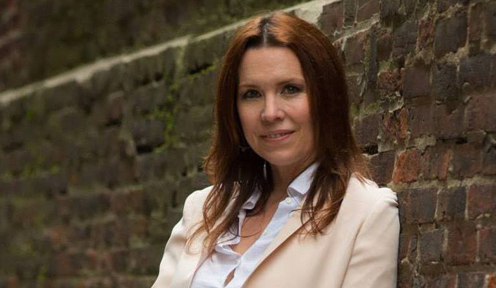 Marrying her academic studies in cognitive psychology with decision making lessons gained through her experience at the poker table, Annie Duke has developed a series of inspirational and educational talks on topics such as decision fitness, emotional control, evaluation of feedback, Prospect Theory, and negotiation tactics. Her deft application of decision science concepts to a wide range of real-world situations spanning both personal and professional topics, coupled with an animated and personable presentation style, have resonated with a diverse range of audiences. 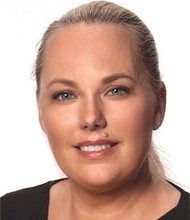 She is a regularly sought-after public speaker, addressing thousands in keynote remarks at conferences such as the 2015 Investment Management Consultants Association in Las Vegas and the 2015 EnergySMART Conference in Philadelphia. 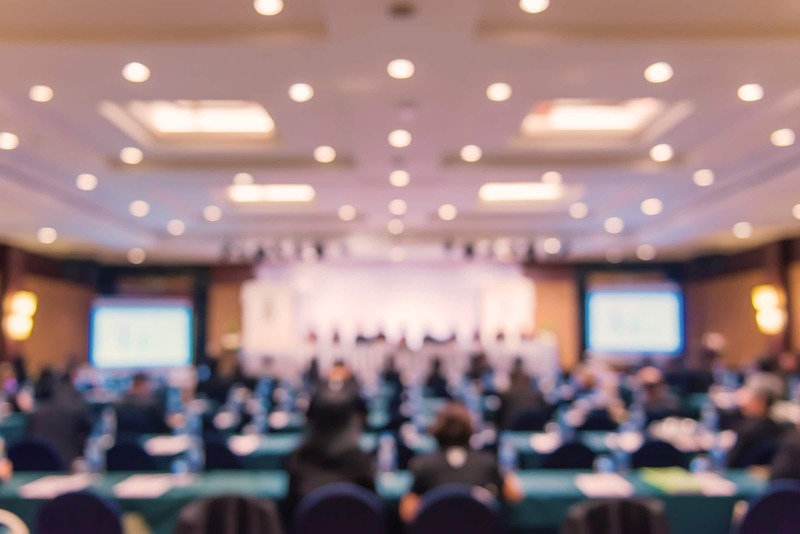 She has been brought in to speak to the executive teams or sales forces of organizations like Gaylord Resorts, Pandora Radio and Ultimate Software, among many others. She is also a sought-after speaker in the financial sector, with clients such as CitiBank and MacQuarie Group. Her passion for making a difference has helped to raise millions for charities with causes as diverse as international refugees, victims of the conflicts in Sudan, improving education, and numerous children’s hospitals. In 2006, she founded Ante Up for Africa along with actor Don Cheadle and Norman Epstein. The organization raised more than $4,000,000 for Africans in need, with a focus on helping victims of the conflicts in Sudan. She also served on the board of The Decision Education Foundation (DEF) from 2007 to 2011. DEF develops decision making curricula for K through 12 students. In 2009, she appeared on NBC’s hit show Celebrity Apprentice, through which she helped raise $730,000 for Refugees International, a charity that advocates for refugees around the world. In October 2013, Annie became a board member for After School All-Stars. In 2014, Annie helped launch How I Decide, a nonprofit with the goal of helping young people develop the essential life skills of critical thinking and decision making. 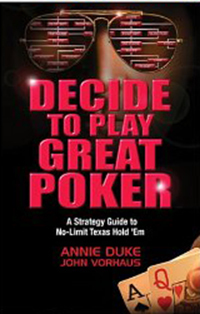 Annie Duke showcases the striking similarities between decision-making in poker and decision-making in daily life. “Poker is a game of decision-making under conditions of uncertainty,” she defines, clarifying that the game she plays in not about luck, but about taking advantage of the bad decisions that her competitors make. She examines how poker can teach us to change people’s behavior by bluffing. While some players may bet really big to intimidate other players, this is neither the smartest nor most successful means of getting the other opponents to fold. “What good poker players do is they bet the smallest amount that they think will accomplish their goals,” Annie reports, detailing that in real life people who make large ultimatums in personal or work relationships normally can’t follow through when the other party doesn’t fold, leaving the person who gave the ultimatum with a loss of credibility and nothing left to negotiate. Annie Duke reveals that one of the biggest downfalls people experience playing poker is their failure to realize the purpose of the game. She clarifies that it’s not about winning money, but about reducing uncertainty for yourself while creating uncertainty for your opponents in a game where a large amount of information is hidden. Marrying her academic studies in cognitive science with the expert decision making experience gained through her years as one of the top professional poker players , Annie Duke has developed a series of educational and inspirational talks on topics such as how to properly evaluate feedback to become a better decision maker; how to avoid making emotional decisions; how to make the best decisions about resource allocation and avoid the Sunk Cost Bias; how to become a better negotiator and many other topics tailored to hone decision making skills. Poker is a game both of making good decisions for yourself and taking advantage of the decision making errors your opponents make. That makes it ripe for exploration into the kinds of rampant errors, irrationalities and biases in our decision making lives. 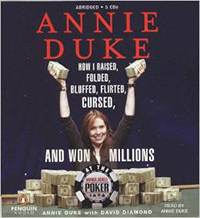 Annie Duke has a suite of talks applying the lessons learned from the poker table to our everyday lives. Once we form a belief, we have a robust tendency to reason around that belief, applying information that confirms our beliefs and ignoring evidence that disconfirms our beliefs. We will also actively work to discredit evidence that disagrees with us. This is a biased process, with different standards for evaluating evidence that agrees with our beliefs and evidence that disagrees with us. The process forms a vicious circle where we reason to support beliefs we already hold instead of updating and changing our beliefs as we gather new information. Annie Duke explains this robust cognitive error and how it impairs our decision making in business and throughout our personal lives. She traces the origins of this bias in memory and thinking and offers strategies to becoming better and more flexible thinkers. As we become a more data-driven society, we face new questions of how best to use all this new data to improve human decision making. Annie Duke explores the ways in which big data has the potential to overcome robust irrationalities in how we process information and solve for the problem of uncertainty. She also points out the pitfalls and dangers of big data and provides advice about how data is aggregated and collected and where the “human element” still needs to be in control of the analysis in order to interpret and model the data. In Annie Duke’s twenty years playing poker, she noticed that most players quickly plateau in their learning despite an abundance of evidence about how they can improve. Players win or lose hands many times an hour and get feedback about the quality of their play almost immediately. Outcomes are closely tied in time to decisions. Poker provides a closed, tight feedback loop so it should provide an ideal environment for years of learning and improvement. Players also have the opportunity to watch others win or lose hands even more often than they play hands themselves. Yet most poker players repeat the same mistakes. Players have trouble incorporating both positive and negative feedback. When things go well, they give maximum credit to their skill. When things don’t go well, they blame luck. Wins, therefore, teach them to do exactly what they are already doing. They ignore losses, attributing them to factors outside their control. Of course, this occurs in every facet of our lives. Annie Duke examines this process with examples from poker, familiar personal and business decisions, and behavioral science research. She shares comprehensive strategies to mitigate these biases, embracing the feedback that our outcomes provide to become better long-term learners. These strategies can be adopted by individuals or at an organizational level. In poker and throughout our lives, we should try to maximize the time we spend in favorable situations and minimize our time in unfavorable ones. Poker players are too quick to quit when they are winning. They look for any excuse to put the session in the (non-existent) win column. The same players will refuse to quit a losing game. The same thing happens outside poker: sales professionals not giving up on a dead lead; investors unwilling to sell their losing investments. Even something as pedestrian as picking the slowest line at a grocery store and being unwilling to change lines stems from the same bias. Annie Duke examines how the interaction of many cognitive biases (including loss aversion and sunk-cost bias) drives this behavior. These tendencies cause us to miss good opportunities and continue playing when the odds are against us. She provides insight into avoiding this costly decision-making error with strategies that prevent us initially making these poor decisions and how to take a longer term view so we are not as caught up in the emotion of the moment. The strategies apply in the workplace, to parenting and to other personal decisions. Has anyone ever told you, “Why don’t you sleep on it?” or “Take ten deep breaths before you decide?” or even “Calm down.” If so, you (like everyone else) have been on tilt. Tilt is a state of distress that causes us to make emotionally-charged and irrational decisions. In poker, many talented players go broke because they play poker on tilt. Making decisions in this unproductive emotional state is not confined to the poker table. Tilt is common in corporate environments, in finance and sales, and, of course, in our personal lives as anyone with a teenager can attest. The best poker players in the world devote tremendous time and energy on how to reduce the effect of their emotions on their decision-making process. 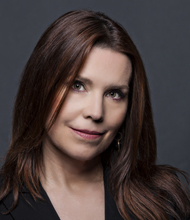 Annie Duke shares the secrets and strategies the top players employ to avoid emotionally- charged decision making. One of the biggest challenges poker players face is how to maintain a long-term view that maximizes their results over their career when they are making moment-to-moment decisions in highly emotionally charged situations. One of the biggest obstacles to success as a player is not talent as most might suspect. It is the ability to balance the future against the present moment, to avoid making decisions that might feel good in the moment but will be costly to your future self. This, of course, is the same problem we all face in making decisions about just about anything: retirement savings, dieting, portfolio management, and procrastination, to name just a few. Annie Duke shows how temporal discounting, discounting the future in favor of feeling good in the present, hurts our overall productivity both in a corporate environment and as individuals. She discusses how this irrational weighting of the present interacts with other cognitive biases to prevent learning, to create emotionally charged decision making, to cost us wealth, and to prevent us from realizing our long-term goals. She offers concrete solutions in the form of both cultural and individual supports for making the kinds of decisions in the moment that more rationally take into account our future selves. Poker is a great starting point for understanding all kinds of decision-making behavior that are fundamental to the way all of us think. DUKE: When I first started speaking, most of my speaking engagements came from the financial sector. I think people in finance saw a direct correlation between the challenges at the poker table and challenges in finance. As I’ve become better known as a speaker, business and professional groups (regardless of industry), are realizing that poker is a great starting point for understanding all kinds of decision-making behavior that are fundamental to the way all of us think. And since it is about how all of our brains works, any sector can benefit from the lessons poker offers. Poker is fun. It’s an unusual profession but a common game. Even if you don’t really know much about poker, you understand the common features I discuss. Ultimately, my message is about fundamental ways in which we process information. Everybody wants to understand that better. Just about any audience can make a connection between what I learned playing poker and lessons they can use in their work. When I spoke before that group of financial traders, I remembered what I enjoyed and loved so much about academics and teaching. From there, I got more opportunities to speak, rekindling my passion for teaching and challenging my thinking and learning. The common thread of my speeches is pretty general: our brains operate in some fundamental ways that interfere with making good decisions. SPEAKING.COM: What kind of special prep-work do you do prior to an event? 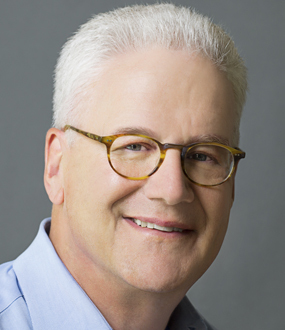 How do you prepare for your speaking engagements? DUKE: I really like to collaborate with the people that I’m working with. The common thread of my speeches is pretty general: our brains operate in some fundamental ways that interfere with making good decisions. My twenty years in poker was a great behavioral laboratory for witnessing (and experiencing) those difficulties, and learning how a group of exceptional thinkers worked through them. From that base and all the behaviors that can encompass, I consult with the group asking me to speak. What are their needs? What are the decision-making and learning challenges that audience faces? Do they want to hear about developing a more productive culture? Do they want to discuss dealing with risk and uncertainty? Are they challenged to interpret and apply new information? How do they view colleagues and competitors? Those are just a few examples where those pre-speech consultations can go. My goal is to understand the particular needs of the audience and give them something that authentically speaks to them. I have to succeed in entertaining and challenging my audience. We need to have fun together. DUKE: For me to realistically deliver something audiences can use (“educational value”) I have to succeed in entertaining and challenging my audience. We need to have fun together. That definitely includes humor and personal stories. I’ve encountered a lot of interesting, unusual people and situations in poker. People enjoy hearing about that, especially when they can relate to the reason I’m telling the story. The key is finding things the audience can relate to. I have four children, ages 14 to 21. When I say, “Have you ever had a kid who did poorly on a test tell you, ‘It’s because I didn’t study’?” everybody with kids knows what I’m talking about. Kids seem universally wired to say the same things: the test was hard, the teacher doesn’t like me, everybody had trouble on the test. People understand, and that makes it easy for me to explain how we all do that. I find other relatable examples using sports, politics, and recent news. The audiences I speak to are generally composed of people who are pretty knowledgeable and successful in their businesses. Unless I have a very specific understanding of particular issues in the audience’s business, I don’t try to fake an understanding or use general or stereotypical knowledge of that business. I can entertain – and teach – much better when I start with examples we both know, like Bartman, the baseball fan blamed for continuing the curse and keeping the Chicago Cubs out of the 2003 World Series. Or things about which we’d like to know more, like John von Neumann, the basis for the title character in Dr. Strangelove, who worked on the Manhattan Project by day and invented Game Theory by night. From these examples, we can talk about some relatable lessons concerning decision-making behavior. 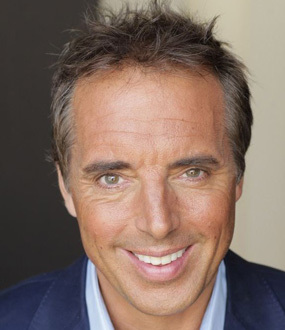 I think audiences have fun and respond to topics that are a little “outside the box.” Even for people who have never played a hand of poker, the people and situations I’ve encountered are fun and easy to understand. After that, it’s up to me to explain how I’ve learned from these things, and how they can as well. SPEAKING.COM: What do you want people to learn and take away from your presentations? DUKE: I want people to understand that our brains are built a certain way. We have a lot of thinking processes skewed toward irrationality. Those processes exist for some good reasons, and they aren’t going anywhere. There are practices you can put in place that reduce the negative effects of these thinking patterns on your life. The great news is that if you can reduce them just a little bit, you will see really big effects. Separating your emotions from your decisions. The common flaws of workplace evaluation systems. "Poker can be an ideal learning environment. You make lots of decisions, they have real-money consequences, and you get feedback quickly in the form of wins and losses." 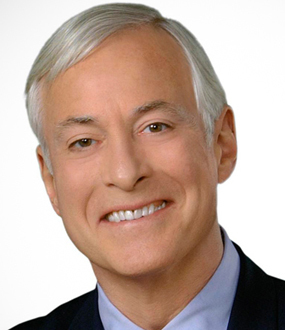 Jeff Westphal, CEO and Co-Owner, Vertex Inc. Ask the great poker players how they’d play a hand and the answer is always, ‘it depends.’ That answer can be infuriating. But guess what? It really does depend. The key to becoming a great poker player is in knowing exactly what it depends on. At last there’s a book that gives you that answer. Poker is a game of so many variables: table position, flop texture, the number of players in a hand, the personalities of your opponents, and so much more. Decide to Play Great Poker teaches you how to identify and analyze those variables, interchange them within basic game-situation templates, and become knowledgeable, comfortable, and confident in any poker situation. Instead of just dictating a bunch of rules that work only some of the time, this book teaches you to become a great poker thinker and strategist so that you can expertly navigate any poker challenge you encounter. Most players think the goal of poker is to make money. They’re wrong! The goal of poker is to make good decisions. Money is simply the way you measure how well you’re meeting that objective. So if you’re ready to start making world-class decisions at the poker table—and to reap the substantial rewards those decisions will yield—all you have to do is decide: Decide to Play Great Poker now. You’ll never be vexed by ‘it depends’ again. The top-ranked female poker player in the world reveals an insider’s view of the World Series of Poker, a glimpse of her fascinating journey to the top, and keen analysis of winning hands.